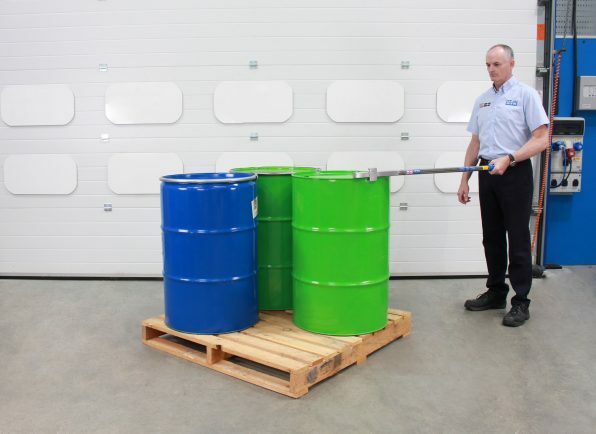 Often you need to twist stored drums to view labels or optimise storage space. 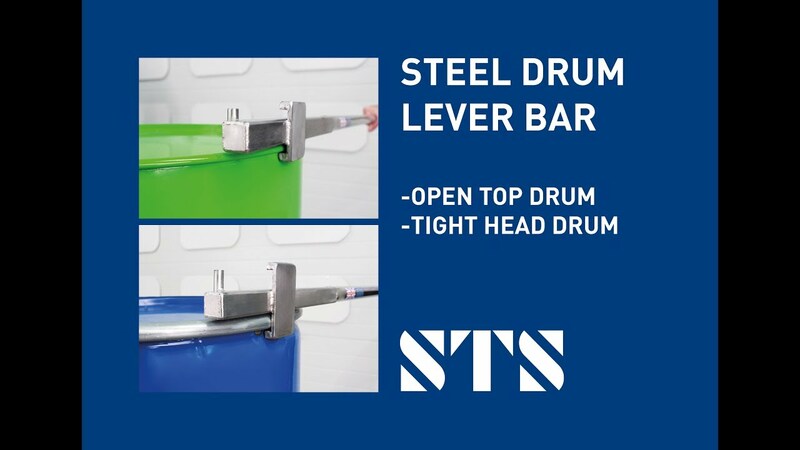 Our drum lever bars make orientating steel drums easy. 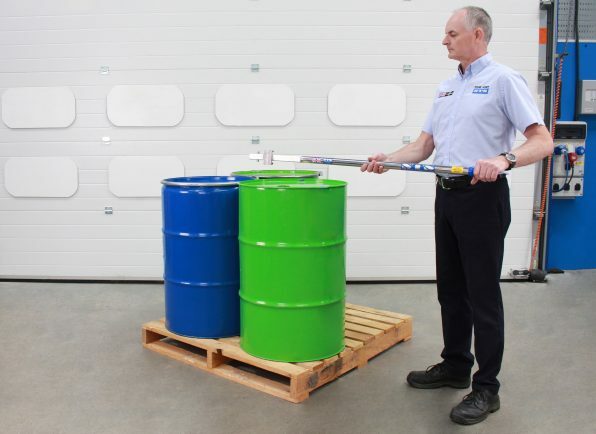 Simply connect the bar to the drum container and use leverage to rotate or adjust the position of the drum in situ. 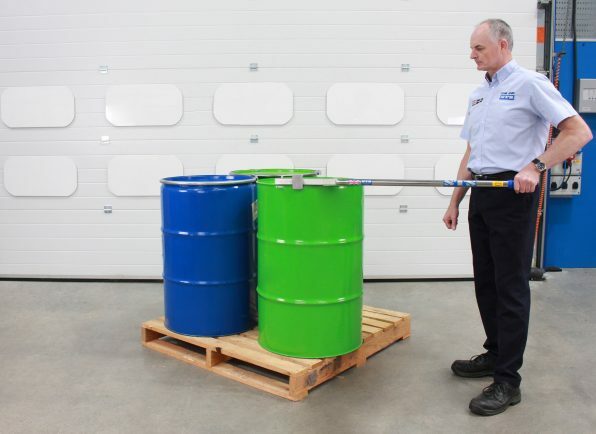 Made from stainless steel in our UK manufacturing facility, both bars are corrosion resistant and don’t produce sparks when they contact mild steel drums. 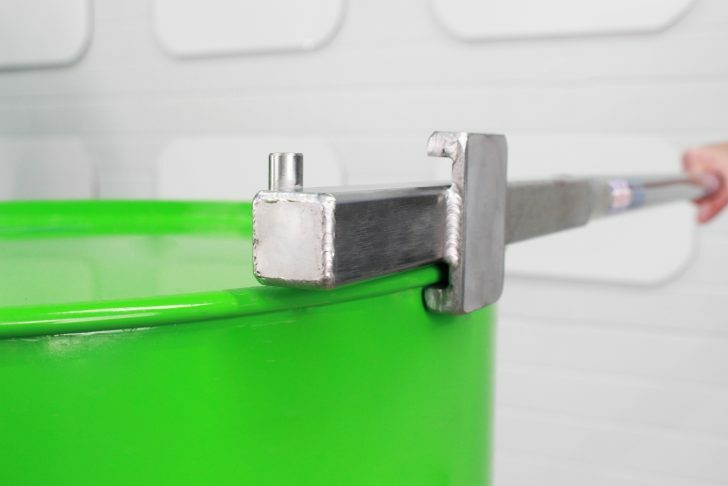 Suitable for tight-head steel drums, this lever bar connects to the upper lip of the drum. 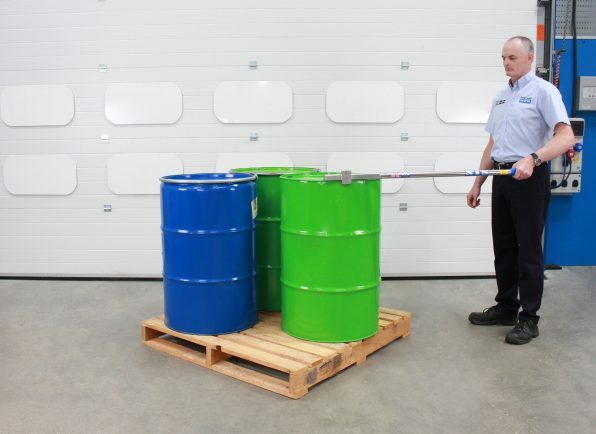 Rotate the drum manually, using the 1.2m of leverage to ease the effort. 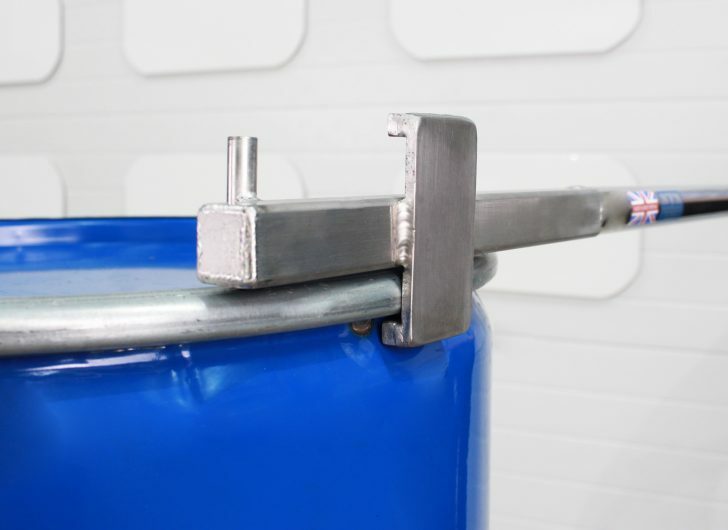 For use with open-top steel drums, this lever bar connects to the upper edge of the drum. 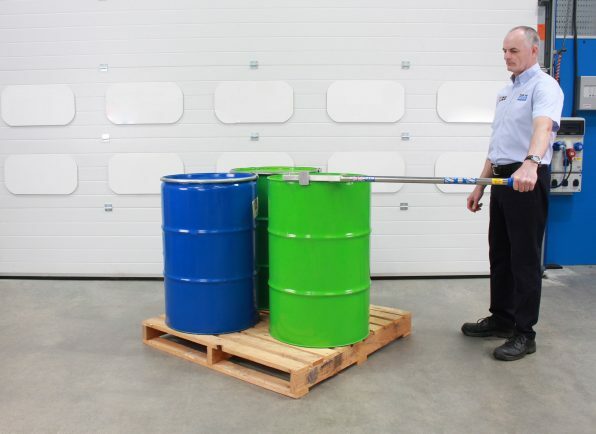 Again, use your manual effort and the bar’s leverage to rotate the drum. 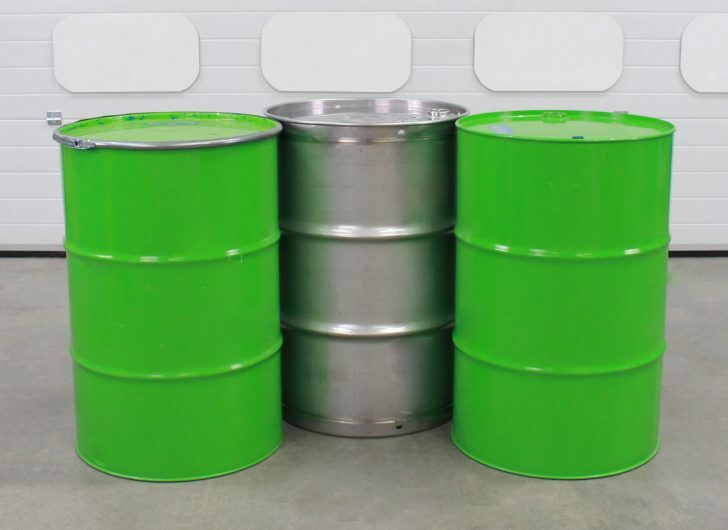 Our LEV01 is compatible with 200-litre tight-head steel drums, while our LEV02 is for use with 200-litre open-top steel drums. 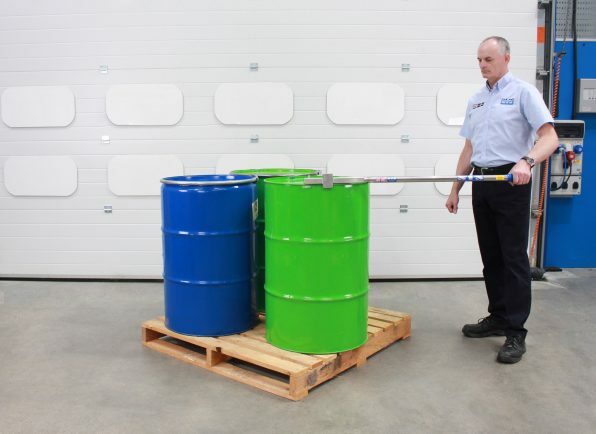 See the full technical specification for our Drum Lever Bars for 205-Litre Steel Drums for details such as weight, dimensions and load capacity.